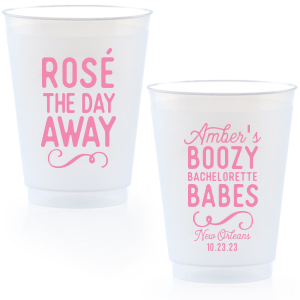 Wedding bells are ringing, but not before the bachelor and bachelorette parties have their moment! 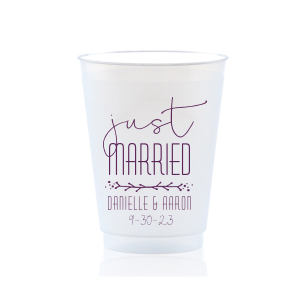 Custom design your bachelor and bachelorette party 16 oz frosted cups at For Your Party. 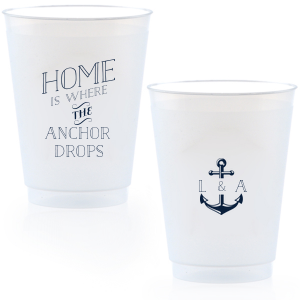 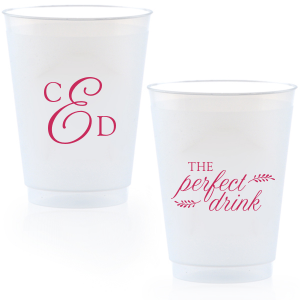 You'll love the extra touch these top-quality plastic cups offer your party drinks. 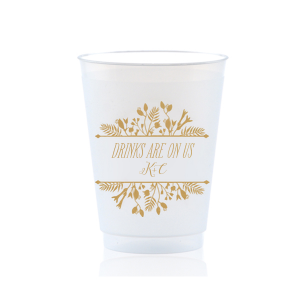 They are even reusable and dishwasher safe—perfect for those weekend-long celebrations. 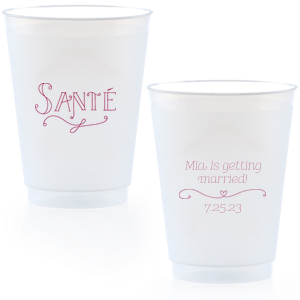 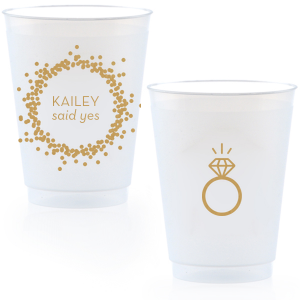 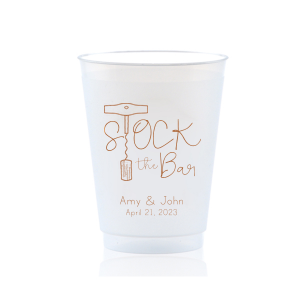 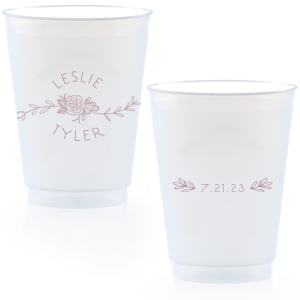 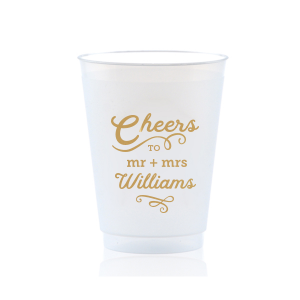 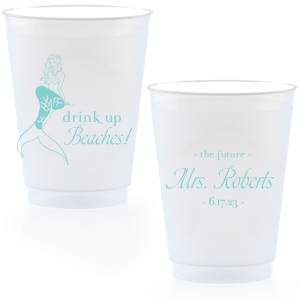 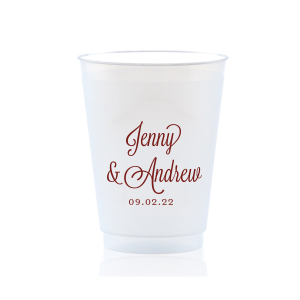 Celebrate the soon-to-be bride and groom in style with personalized bachelor and bachelorette 16 oz frosted cups. 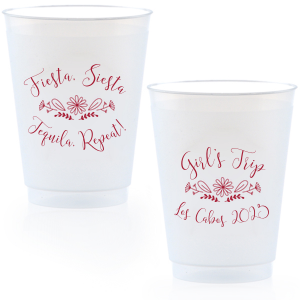 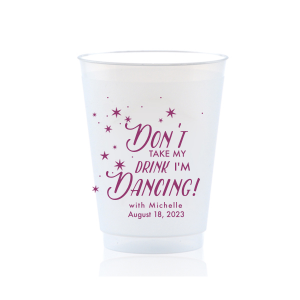 Find the perfect printing color and design as you browse the curated galleries of ideas for custom designed bachelor/ette party frosted cups. 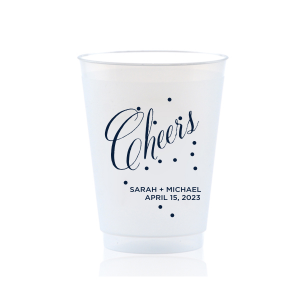 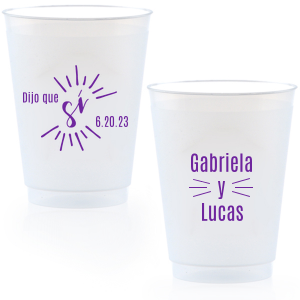 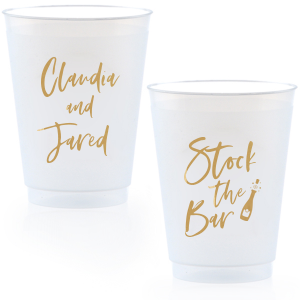 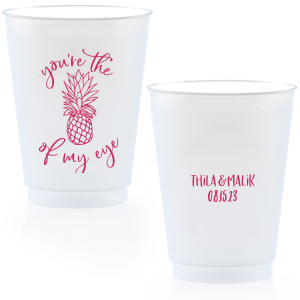 Take advantage of the 2 sided printing option by printing “The perfect drink” on one side and “for the perfect couple” on the other side of your custom designed bachelor and bachelorette 16 oz frosted plastic cups. 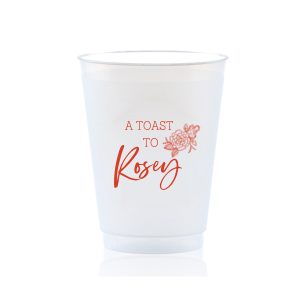 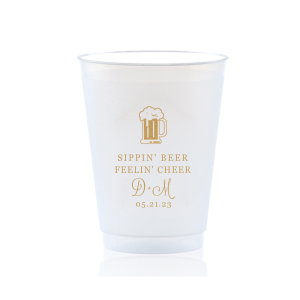 Personalized bachelor and bachelorette 16 oz frosted cups add an elegant touch to your party beverages. 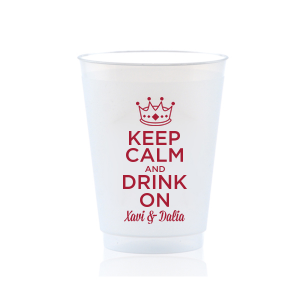 Partying all weekend? 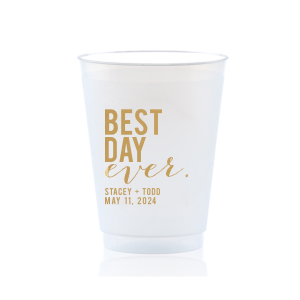 These personalized bachelor and bachelorette frosted plastic cups are reusable, as well as BPA free and recyclable. 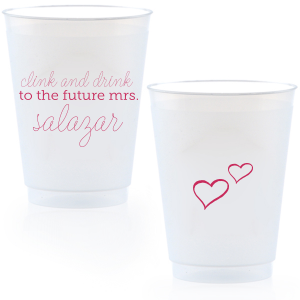 Design your personalized bachelor and bachelorette 16 oz frosted cups today!